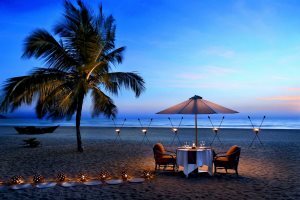 Relax on the beach, cooled by the sea breeze; kick back by the pool, measuring time by dips in the refreshing water and the disappearing cool drinks; luxuriate with a massage, gaze at the Arabian Sea; experience dawn on the river, soak up the sounds of the dawn chorus - this is your Goa holiday. 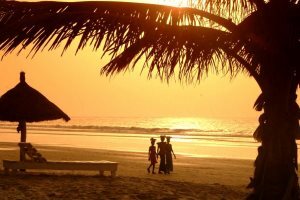 A beach lover’s paradise – your holidays in Goa will be blessed by a striking coastline. 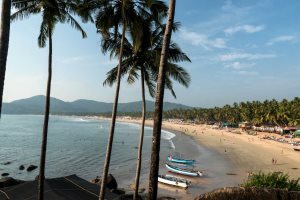 Long stretches of crescent sands are lapped by the Arabian Sea and backed by towering coconut palms and vibrant beach shacks. Fond memories await you from a holiday to Goa. 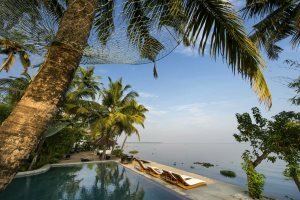 Whether it be a romantic stroll along the Arabian surf, an idle conversation on the beach during a long, drowsy afternoon, or a rejuvenating massage in an Ayurvedic spa. Love to experience as much as possible when on holiday? 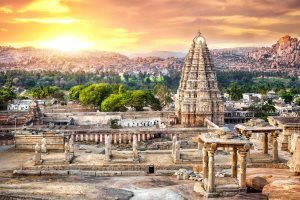 Our variety of India Tours allow you to explore more of the Indian sub-continent, including The Golden Triangle and Kerala. 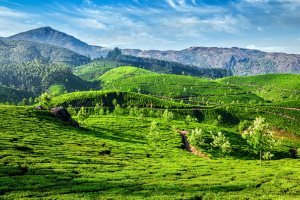 From the meandering backwaters and sandy coves through to the exciting wildlife opportunities and rolling tea plantations, explore a holiday that's south of Goa, in the laid-back state of Kerala. 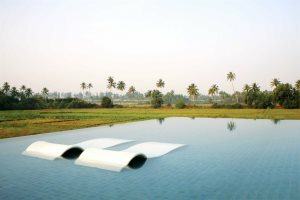 As specialists we're able to personally select the finest most luxurious properties in Goa, some of which are exclusive to us. They all have that special something and are all exceptional in their own way. 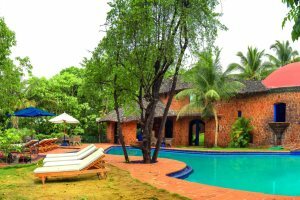 What if we told you it's possible to enjoy a holiday to Goa for a very reasonable price? 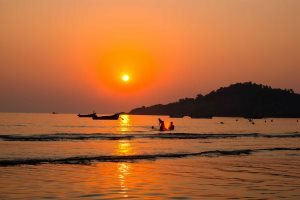 Discover our affordable winter sun holidays in Goa. 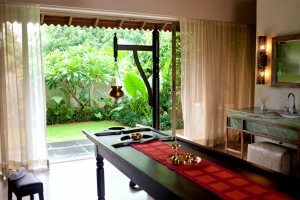 Imagine waking in a four-poster bed in a beautiful Portuguese Heritage Home, soaking up the rich colonial history, or escaping into the jungle in search of total relaxation - all available during your Goa holiday. 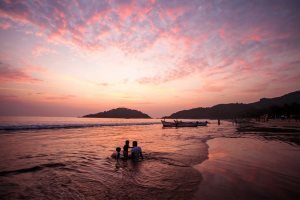 Away from the alluring beaches and the inviting hotel swimming pools, Goa is a varied and exciting state to explore. We offer a number of great excursions that enable you to discover the best of Goa during your holiday. 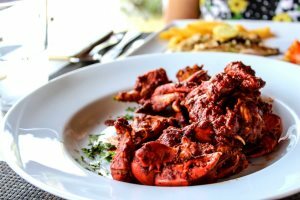 With a mix of Portuguese and Indian heritage, the blend of flavours, ingredients and textures in Goan cuisine is unique against anywhere else in the world! 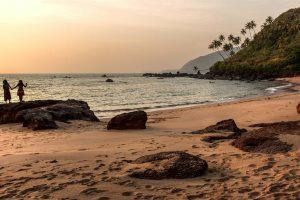 With kids' clubs, organised activities and long, sandy beaches aplenty, you won't struggle to find a space to build sand castles along Goa's coastline. 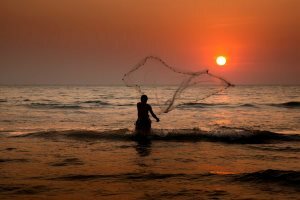 We are delighted to offer holidays to The Gambia through our sister company, The Gambia Experience, who have been providing exceptional holidays to the smiling coast for over 30 years. 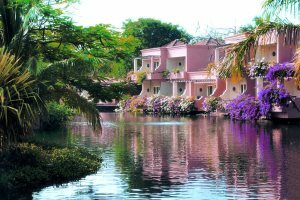 The Cape Verde islands are a crescent shaped archipelago 500km west of Senegal. They have their own uniquely diverse culture, with each island offering a new and exciting holiday experience.